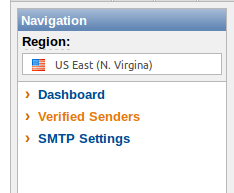 How to configure your Postfix server to relay email through Amazon Simple Email Service (SES) – Millcreek Systems, Inc.
Amazon recently announced SMTP Support for the Amazon Simple Email Service (SES) which is very cool. Now you can configure your server to send email through it regardless of what platform your site is built in (my previous post was only relevant to PHP servers) There are 3 main things you need to do to configure your Postfix server to relay email through SES: Verify a sender email address, create an IAM user for SMTP and configure your server to use SES. Go to that email account and click on the link Amazon will email to you to confirm the address. 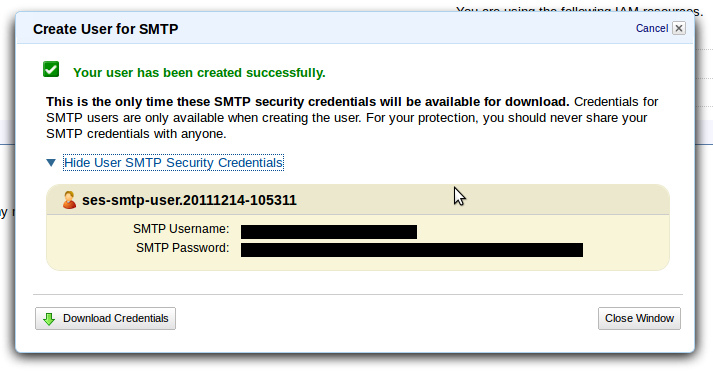 Save the SMTP Username and SMTP Password that are displayed . We’ll need them when we’re configuring the server. Now for the fun part. Here I assume you’re running Postfix as the MTA on your server. After setting it up, look closely at the mail logs on your server to verify that they are being delivered properly. As I found through testing, in certain misconfigurations your email will not be delivered and will not remain in the queue on the server. The mail logs are the only place that will indicate that delivery is failing. You don’t need to follow the steps in “configure the server”. It works out of the box. Hi Daniel, I’m not quite sure what you mean. If you don’t follow the steps in “configure the server” Postfix won’t utilize SES to send out email, it will just send email out directly. Good call, David. I must have already had it installed on the servers where I’ve setup the Postfix -> SES connection. Do you know where I can find instructions like this for qmail? 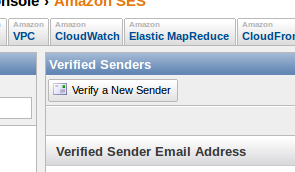 The amazon documentation site has integration instructions for postfix, exim, and sendmail, but not qmail. 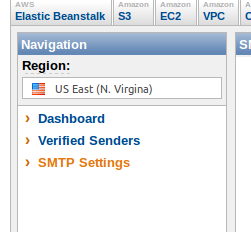 I setup the stunnel and verified that was working, but how do I tell qmail to use the stunnel port or point to the amazon server? 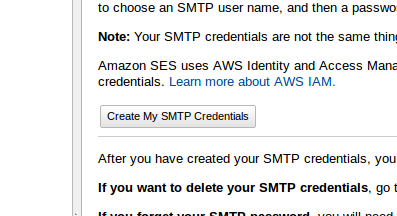 I don’t think the smtproute control file will do it because I need to set a password somewhere. I haven’t used qmail in a long while, but this thread may help you out. It looks like it might be complicated, but it should work. Pingback: Get up and running quickly with Amazon SES on your php website | Millcreek Systems, Inc. I am actually trying your method, but sending speed is to slow. Is there any way to send at least 1,000 emails per minute? You know, I’ve already did this, I’ve tuned postfix and it is not working at all, seems to be slower; I am now, using perl script from Amazon SES, with postfix which seems to be working a little bit more faster. Maybe, I need to improve it, because Amazon allows me to send more than 5,000 emails per minute, and I am actually sending 2,000 emails per minute. Anyway, thank you for your help! Hi Carlos, I’m not sure why it would be slower. You should take a look at the Postfix Performance Tuning page and see if there are any optimizations you can do that would help. This may be obvious, but do you have a beefy enough of an instance to churn that much mail out per minute? Suffice to say a t1.micro, even without other services running may find itself starved of RAM and CPU. Virtualized instances (in my experience) are lucky to have up to 50% of their allotted resources available at any given time. If you’re finding this isn’t the case, you might want to try depending on a tmpfs ram disk to bypass ec2 storage completely for email processing. If the instance is reading mail from a file before sending, that can be a looooot of IO for ec2 storage. Check the normal culprits (top, strace, etc) and see if the bottleneck is actually postfix, or your instance. Michael, this is a fantastic article and very helpful! There is no way I could have gotten it working without this information. Two thumbs way up. I am unsure why this is happening, but even when I change my “from:” headers in the php mail function, the email that I receive always says that it is from “www-data@ip-10-244-27-131.us-west-2.compute.internal”. I would imagine that is because I haven’t configured something appropriately, but I am novice enough at postfix that I don’t know what. Any ideas of things that I might try? Setting the “From: You ” header has worked for me in the past. Are you sure you have your syntax correct? This is great. Thanks for your help. Now that SES supports verified domains do you think you could update this guide to help us relay mail through SES for an entire domain rather than single addresses? I have tried to do this myself using the relay_transport setting but haven’t been able to get it working. Using wildcards like *@verifieddomain.com in the sender file doesn’t work either unfortunately.